There are at least five doomsday scenarios that could wipe out our way of life and set our civilization back a couple of centuries. A major solar storm, which many scientists say is way over due, could wipe out the country’s entire electrical grid. So could an electronic magnetic pulse attack from any number of countries that have the technology to deliver it. The world is edging closer to a time when rogue nations will have the capability of detonating a nuclear bomb over Washington D.C. All they need is a barge anchored 100 miles off the coast, a missile launcher and a nuclear tipped missile. Substitute any number of available biological weapons for a nuclear bomb, and you have the potential for widespread disease that can wipe out a region. Make it a highly contagious untreatable bird- flu virus, such as is being developed right now in European labs and it can wipe out a whole country. All of that, while entirely possible, ignores another scenario which is well underway that could lead to the collapse of our financial system, and that is hyperinflation. Hyperinflation results from a complete loss of confidence in the U.S. dollar by countries and our own citizens, when it is found that it has little or no value. Hyperinflation has led to the financial and societal collapse of many countries in recent times, such as Germany, Russia, Hungary, Argentina and Yugoslavia. Some economists believe it is just a matter of time for the U.S. Pick your own doomsday scenario and then look the other way if you so choose. But what the Doomsday Preppers are preparing for is a new civilization, with new rules, new threats, and a new government – pretty much a new way of life. Much of the show is devoted to survivalist prepping which can be very extensive, involving “bugging out” plans, fortifying the home defenses, building shelters and sustainable gardens, weaponry, all the way to toilet paper substitutes out in the wild. What about Financial Survival for Doomsday Preppers? A question that is often asked of preppers is what steps do you need to take financially to ensure your money and assets will be there for you in this new world? The Doomsday Preppers might laugh at that, because, frankly, in any one of the aforementioned scenarios, money-as-we-know-it is likely to come to an end. Money is a government-based currency that only exists because the government exists. Any scenario that could lead to a breakdown of laws or government systems, would likely devalue paper currency in favor of a barter system. Gold will likely be a primary store of value, but commodities that can be utilized for food production and fuel for generators and transportation will be much more in demand. A post-doomsday environment will be fraught with a volatile mix of uncertainty and chaos, which will, hopefully, subside over time as people settle into their new reality. The more you can prepare the more you will be in control when the walls of society begin to crumble. If our monetary system does survive, you can expect the government to crank up the printing press to try to keep enough dollars circulating to stave off a collapse. This will likely result in skyrocketing interest rates and very possibly, hyperinflation. Simplify your finances – This is a measure many Americans have already taken as a result of the financial meltdown of 2008. This would be a good time to take it to the next level by reducing your expenditures even further by lessening your reliance on debt, utilities, and non-essentials. The goal is to increase your cash flow and savings so it can be invested in the preparatory measures listed below. Eliminate adjustable rate debt – It’s not a good idea to hold adjustable rate debt, including credit cards, in an inflationary environment anyway. It could be far worse when a doomsday disaster hits, because banks will be panicked into raising fees and rates to cover their losses. Increase your self-sufficiency – Food and energy will become scarce or unaffordable. It’s time to increase your self-sufficiency by investing in food, water and fuel storage. To convert 401k to gold IRA might be good in the pre-apocalypse but afterward, sustainable food sources, such as gardens and fruit trees, are a good investment, and backup appliances such as solar cookers, manual washers, and solar lighting, are recommended for any disaster preparation. Storing essential goods not only increases your self-sufficiency; it also increases your purchasing power in a barter economy. A bag of flour may be able to pay the rent for a month. Fortify your defenses – In a post-doomsday environment, a house full of food and supplies is more valuable than a bank full of cash. And, unless it is fortified, it is vulnerable to intruders. It’s an unfortunate but necessary measure that has to be taken if you are to protect what is left of your wealth. Bury a safe deep in the ground away from the house to store valuables, gold, and documents. Invest in a family business – Unemployment is likely to skyrocket, but even if you manage to hold on to your job, your wages at the beginning of the day won’t be worth as much at the end of the day. Businesses that produce barter friendly goods and services will thrive. Certain technical skills and expertise will be in demand and can be very valuable in a barter economy. While currency still has value, a family business can produce a much needed alternate income stream. While there is no need to panic for the moment, you need to be prepared to take action with a doomsday hedge strategy that will involve a reallocation of your assets and cash flow into non-USD denominated investments. The worst time to make investment decisions is after the panic begins. Many investment alternatives, such a gold and farmland are timely right now even before a monetary collapse or hyperinflation materializes. 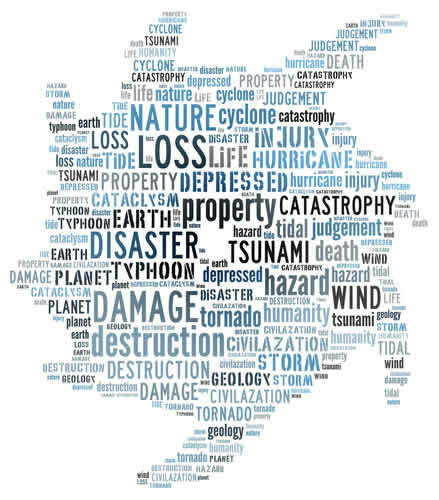 A sound strategy should position you for wealth and purchasing power protection during a doomsday disaster, as well as for opportunities that will arise in a post-doomsday environment.